A very stylish Women Stylish Removable Fur Hooded Black Leather Jacket that will keep you warm inside due to the original mink fur inside. Elegant look and made from genuine leather. Professionally stitched and crafted to get the looks on the jacket. 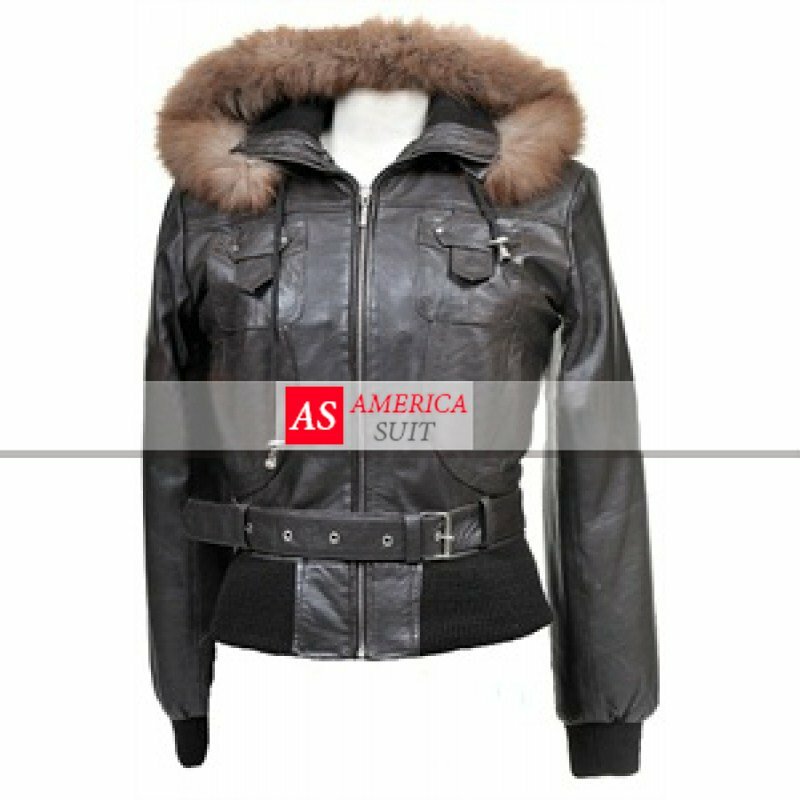 You will feel like a celebrity when you wear this jacket made from genuine soft sheepskin Napa leather. Also available in Faux/Pu leather for all the animal lovers who prefer not to wear leather. Or visit Women Power Shoulder Black Leather Jacket that will also attract you.